Cabernet Sauvignon is the most widely planted grape varietal on the planet Earth and with good reason- wine drinking people like it! 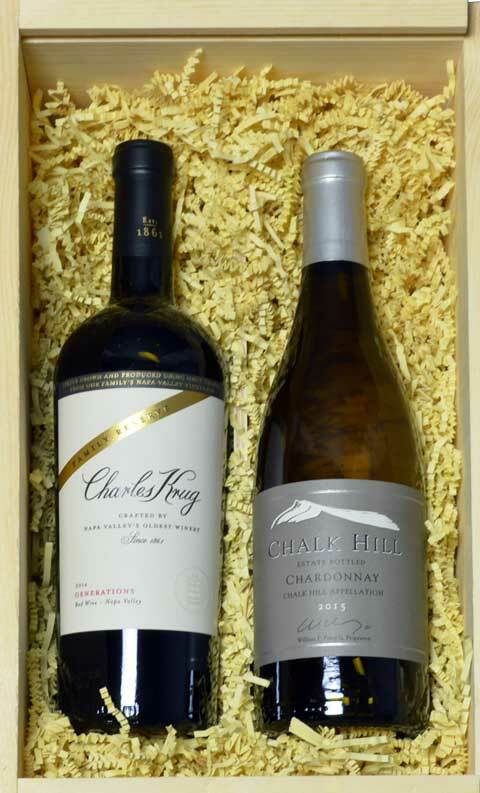 Chardonnay is the most widely planted white varietal and although there are a few haters out there its not the Chardonnay they don't like its the oak. Both of these are the best that we can offer in these two popular varietals this year. A big bold Cabernet Sauvignon from Napa Valley from our one of this country's top Chardonnay producers that has just the right touch of lightly toasted oak spice.